First-time buyers represented 32 percent of the market in May, a 2 percent increase from April and a 5 percent increase from a year ago. First-time buyers haven’t had this much of a presence in the housing market since September 2012. Unemployment is down among young adults, and many lenders are lowering their down payment requirements. 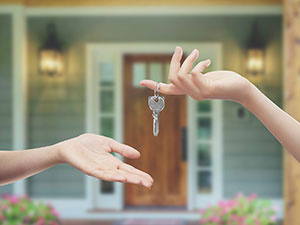 These factors combined with more affordable mortgage insurance options are enticing many first-time buyers to leave their rentals and purchase homes. Economists with the National Association of Realtors (NAR) believe that the number of first-time buyers in the market will continue to rise. The percentage of these buyers will depend, however, on how fast mortgage rates and home prices climb. of 4.3 percent from April. When compared with May 2014, sales were 6.9 percent higher in the South and 9 percent higher in the West.